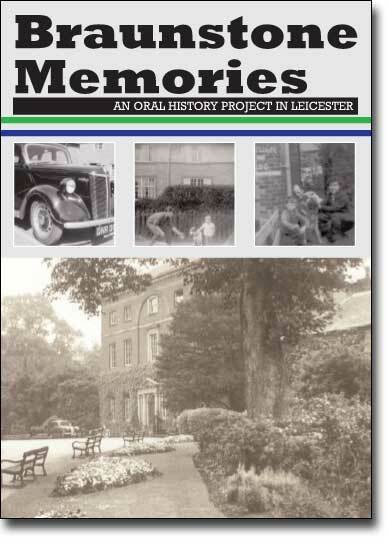 BRAUNSTONE MEMORIES is a oral history project that interviewed 55 Braunstone residents. It tells their story in their own words of where they came from, their rich diversity, their family size. It tells of the old prefabs on Hockley Farm Road, the family size housing on Hand Avenue, the Old Boot homes in South Braunstone which have now been replaced. People talk of how Braunstone life was lived on the street. In the early days those streets formed part of a building site as the estate was being built. Later it included various clubs and social places, including shops both formal and informal. Some of it may surprise you.